After two weeks of reliance on public wi-fi we now finally have internet access restored in the temporary Tycho lodgings. 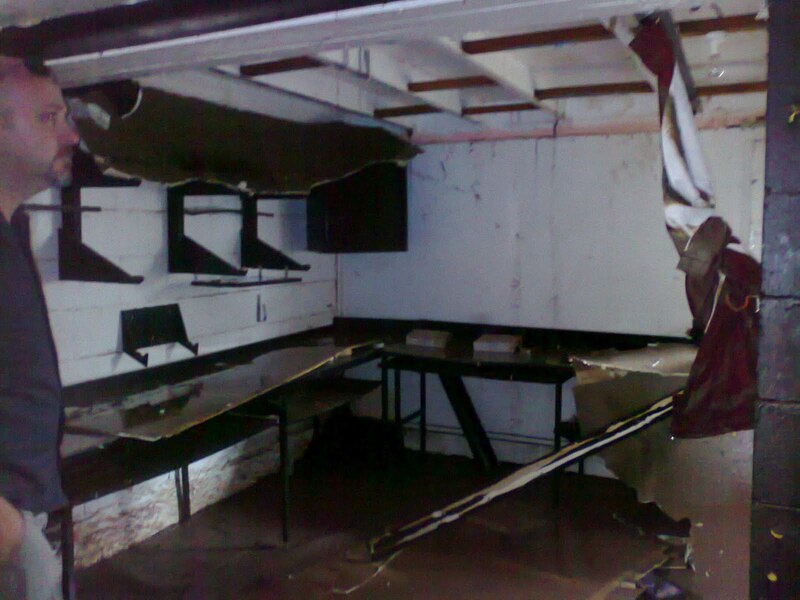 As stated earlier, the house and studio went under in the floods that recently hit Brisbane. Pictured is what is left of Tycho Central, after it was submerged under 4 metres of water on January 12 - 13. The ceiling has collapsed, the brown stuff is mud. I've posted a 'before' photo as a comparison. We saved everything except the benches and racking you see here, wall mounted speakers and amp, curtains, some shelving around the corner and three power boards. We will get back up, but it will take some time.